GoPro has built a name for being tough cameras that go anywhere and take fantastic pictures. The Hero4 Session was released in the beginning of July 2015 brining a new model to the Point of View camera market. Not much has changed in the style of GoPro. They are kind of clunky boxes that can be difficult to mount on helmets or surf boards. GoPro broke the clunky mold by making the Hero4 Session a cube. As with GoPro the Session is water proof and is small enough to be unobtrusive when mounted. Other than being cube shaped, the Session is 1.5 inches and weighs 2.6 ounces. It is water proof as is up to 33 feet without any other special housing. It is 50% smaller than the Hero4 Black or Silver. The Session shoots stills at 8MP with 10fps bursts, 1080 video at 60 and 30 fps and WVGA at 120 fps. The Session comes with two frame mounts, one being a standard upright mount and the second one for mounting flush against a surface. GoPro also designed the Session to be positioned inside the frame in any direction so you don’t need the triple joint hinge mount anymore. The audio is also improved even in the waterproof casing with two mics that the Session switches between depending on the audio conditions such as wind. The battery life has also been improved over the previous models but has a lag on startup of about 5 seconds before it is actually taking video. As for the quality of pictures some things seem to have been lost in the new cube redesign. The Session is lacking in both sharpness and color quality. It is lacking the ability to switch settings like the Hero4 Silver, has a fixed battery that can’t be swapped making long outings like a 4 day hike undoable. It is as though GoPro went backwards in technology with the rebuild instead of incorporating the Silver technology into the new shape of the Session. Due to the slim downed menu options you will need a smart phone to get the most benefit out of the Session. The app is free to download and you simply pair it to your camera. You will get a live feed from the camera on the phone and can make adjustments via the phone app. The downside is once you start rolling the live feed is no longer available. The Session does have setting for pixel and frames per shot in video and the camera has the choice for time-lapse, burst or single shot modes. It also features a QuickCapture mode which allows you to capture candid and unexpended scenes. Overall it performs well but compared to the previous models, it is lacking and there is a lot of noise in poorly lit scenes. The Session is geared more to the casual adventurer rather than the pros. It is simplified for easy use like a point and shoot but with the natural state of water proof up to 33 feet without the case. The pros would be better off sticking with the Hero4 Silver or Black with their many features. 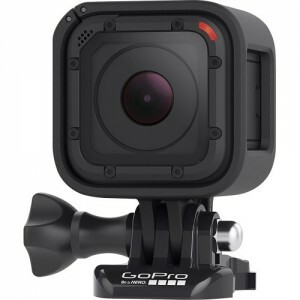 Set your price and get the best deal on the GoPro Hero4 Session here. Greentoe.com is a next generation ecommerce marketplace that enables consumers to set the price for the products they want to buy. Created to change the way people shop, Greentoe.com shakes up the traditional retail model by putting consumers in the driver’s seat. They make an offer on a product and the site connects them to the retailers who are willing to accept the offer. The site benefits both consumers and retailers – shoppers can buy products at the lowest price available while retailers reduce inventory and acquire new customers.